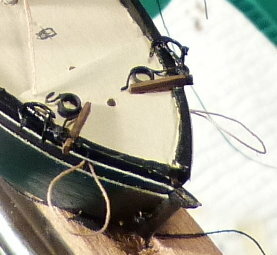 While working on the Dimond project, a threading loop on the port side bow was inadvertently yanked out. 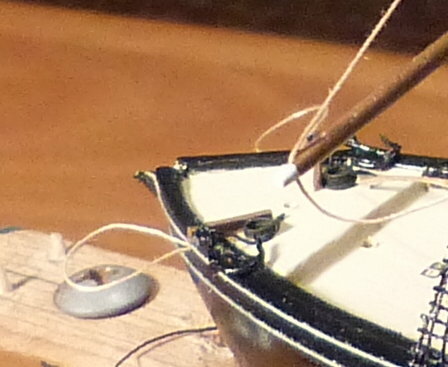 The loop was connected to a thread that exited at the base of the bow along with all the other threads. It was to be used for controlling a bowsprit brace from outside of the bottle. Here are two pics showing it beforehand. I didn’t want to lose an adjustment point that loop provided so I decided to place looped wire there for attaching the brace to. 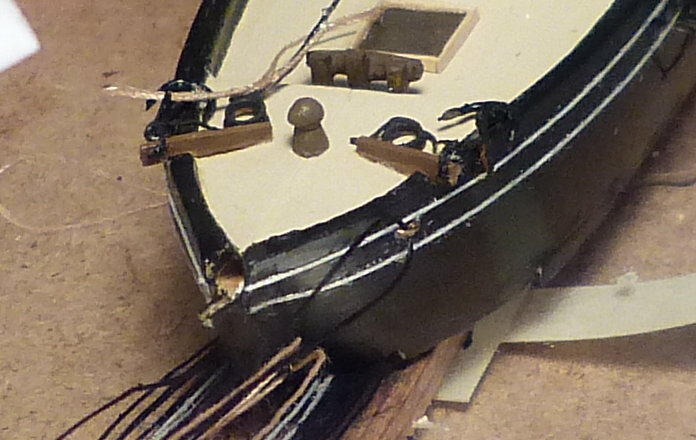 These photos show how I carried the wire to the bow and placed it in the hole. This depiction was after the initial repair was made. 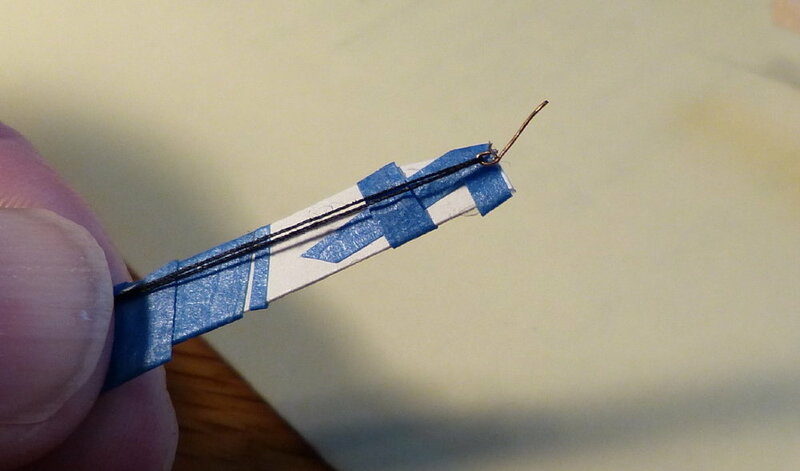 Here’s the stiff paper holder with the carrying wire being taped to it along with the wire peg and thread. 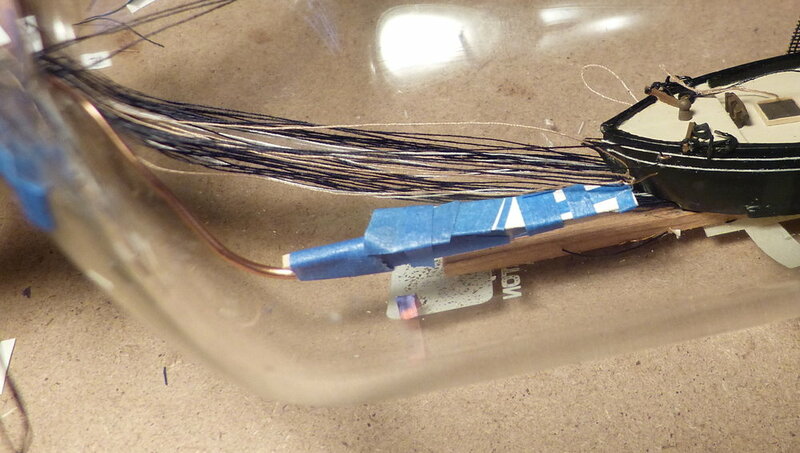 The wire peg is in place on the holder and held there by tensioning the thread that will be used as the brace. 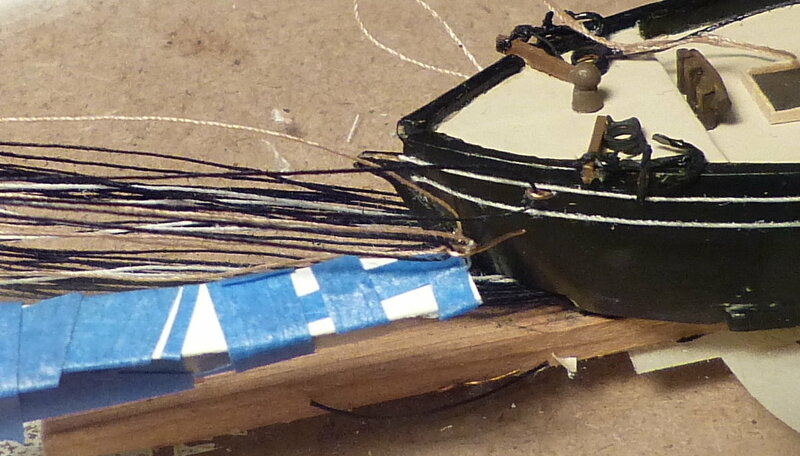 This causes the wire peg to pivot forward and it is then carried to the bow and placed in the hole. Thats impresive work in the bottle. The wire was a good idea. I like the tool idea too. Its hard so get a tool long and thin enough that will hold something until a piece is in place. Adding a bit of cardstock to the end of a wire looks like it works well.